Avida Towers, the residential condominium line of AyalaLand’s affordable residential arm, currently boasts of four master-planned condo communities: Sucat with 11 towers (along Sucat Road, Parañaque) New Manila with 5 (along Col. Bonny Serrano, QC) San Lazaro also with 5 (in Sta. Cruz, Manila), Makati West (in Bgy. San Antonio, Makati) with 2, and last at Brgy. San Lorenzo, Makati (San Lorenzo) which has 2 towers. Available unit configurations include studio, 1-bedroom and 2-bedroom, with loft-types available at Avida Towers New Manila and San Lazaro. 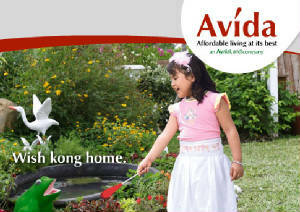 All Avida Towers are located strategically in relation to major thoroughfares and public transport systems. All Avida Towers offer comfortable city living experiences in a convenient and valued location with easy access to major thoroughfares and retail centers. The units are spacious with high ceilings and expansive windows, with complete amenities and tight 24-hour security. Residents are assured of the professional village management of Ayala Property Management Corporation. Filipinos and their families deserve more than just affordable homes. That is why we have reaffirmed our commitment to deliver "Affordable living at its best" by introducing "Sure and Secure" living. Experience it today! Select your condos in your preferred location below. Provided by the computer career training team.